Always have room for more, with a genuine Mercedes-Benz roof box. Up to 50% more load capacity vs. competing brands. All sizes open and lock from both sides. Undamaged in city crash test. Aerodynamically tested at high speed. UV-resistant and retains colour even when chipped. Certified to meet stringent EU safety tests (TÜV/GS). 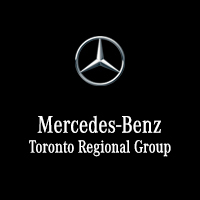 Ask us about other Genuine Mercedes-Benz Car Accessories available for your vehicle.